We’ve finally reached Oscar week. As I’ve done for the past 5 years or so, I made it a point to watch every film nominated for Best Picture by The Academy. To make it a little more entertaining this year I decided to rank them, which is something we’ve also been doing on The Showcast over the past month. So here are the 2015 Oscar Nominations for Best Picture, ranked in order of how I liked them (i.e. what movie I enjoyed the most, not what I think will win. My pick is at the bottom). You’ll find a short synopsis in italics, along with why you should watch the movie, why you shouldn’t watch the movie and a grade. I also linked up each movie’s IMDb page in case you wanted to do a little more research. Enjoy. The Grand Budapest Hotel is written and directed by Wes Anderson, and you can certainly tell. It’s odd, quirky, off the wall and all other synonyms for “weird” you can think of. But it’s also a lot of fun and has a star-studded cast with cameos galore. If you like Wes Anderson, this is one of his classics. If you don’t like Wes Anderson, this is one of his classics. It’s odd, quirky, off the wall and all other synonyms for “weird” you can think of. Really though, enjoying this movie comes down to being a “Wes Anderson person” or not. It turns out I’m not. It’s not a bad movie by any means, just not my cup of tea. Eddie Redmayne, Eddie Redmayne, Eddie Redmayne. He may have been known as the guy who can sing in Les Mis first, but he may be known as the guy who played Stephen Hawking for life. Redmayne really envelops himself in the role, and you forget he’s acting once you’re about halfway through the movie. Which is the point of acting, really. Certainly a favorite for best actor. It’s a bit long (2 hours, 3 minutes) and it felt longer. It just didn’t really have a story that grabbed me and had me wanting more. 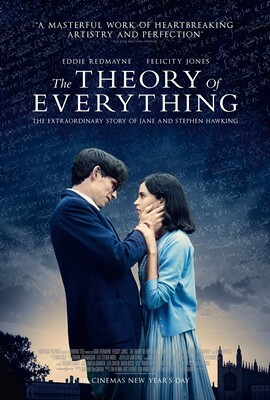 Admittedly I’m no science buff, or romance buff since the movie is mostly about Hawking and his relationships, but I found myself a bit bored by the end. This movie is worth the watch for Redmayne’s performance alone. The rest leaves a bit to be desired, though. This is a great look into recent American history that people may not know much about. Everyone knows about Dr. King’s march on Washington, but the march from Selma to Montgomery is arguably just as important. Selma depicts the ups and downs of getting this march completed while still tackling southern race issues in the 1960s. The David Oyelowo snub talk is legitimate as well – he has some great speeches as Martin Luther King. Some of the conflicts can be tough to watch. This is an ugly part of American history, and while everyone should be aware of civil right issues, it may be too graphic for some people to see on screen. Thanks to the education and awareness factor, I think this is another movie worth seeing. But it’s a tough year for movies, and when comparing it to the other nominees I don’t see this one rising to the top. It may not be a question of will Boyhood win Oscars, but how many. To say this movie was made in a different way would be the understatement of the year. When the synopsis says it’s the life of Mason from age 5 to 18, they mean it – this movie was filmed in parts over 12 years. I think it’s a great concept, and director David Linklater deserves a lot of credit (and probably an Oscar) for directing a movie this way. Also, I’m not a parent, but I’m sure this movie would have a much bigger impact on me if I were. The movie is really long (2 hours, 45 minutes), which I guess you can expect when you get tape over 12 years. I imagine there are also a lot of complaints that the story doesn’t really go anywhere – the movie literally follows the life of a young man for 12 years. You have a prepare a bit for this one, and be ready to focus for almost 3 hours. I’m really glad I saw this one as early as I did. I already liked the concept and the execution kind of grew on me as I thought more about the movie. Of all the 2015 Oscar nominations, this film has the chance to take home the most awards. It almost seems like Chris Kyle’s life was made for a movie. To watch Kyle’s struggle between being home with his immediate family and being overseas with his military family is something I can only imagine. Bradley Cooper brings this to life in a nominee-worthy performance, though I’m not sure he’ll win it. Maybe the fourth time will be the charm for him. Overall this movie is intense, suspenseful, tragic and – above all – really well done. I think I can blame myself for this one. I read all the reviews about how great this movie was before seeing it, so I went in biased and expecting to see the hands-down movie of the year. In other words, I had expectations for the movie that were impossible to reach. Additionally, when a movie surrounding war is described as “intense” and “suspenseful,” you know you’re going to get some battle scenes. But Sniper had even more of those than I thought, and some of them are really extreme for someone like myself not used to that theatre. The last battle scene is incredible, but the cumulation just may be too much for some people. Don’t be fooled just because I have this one ranked at 4. This is a great biopic and I highly recommend it. While all the movies nominated for Best Picture this year are good in their own way, a lot of them are also heavy in nature. Birdman is not one of those movies. This comedy/drama allows you to suspend belief for 2 hours and step into the mind of a struggling actor looking to become relevant again. I really like Michael Keaton as the lead, as Birdman rather than Batman of course – don’t lose that irony, and I think he will give Redmayne a run for the Best Actor trophy. Emma Stone is also my pick for best Supporting Actress, and Ed Norton is deserving of his best Supporting Actor nom. Plus, if you’re a movie person, the cinematography is unlike anything I’ve seen and the score plays in really well with the film. I’m struggling to come up with things for this section as we get into my top 3 movies. It’s much more of a dialogue movie than an action movie, so if all you know about it is “ex-superhero” and you think you’re going to get an action movie, you’re mistaken. Top-notch acting, directing, cinematography and music. Definitely in the conversation to take home Best Picture this year. Not many people are going to use this word when talking about Whiplash, but I had fun watching this movie. It may be that I have a music background, but I have an interest in different instruments. This brought the behind-the-scenes aspects of how a band or orchestra is created to life at the highest level. I also think anyone who grew up with a passionate hobby can relate to the main character, Miles, in some way. I’m not sure, however, how many people can relate to the instructor. Fletcher is ruthless, harsh, unfair and the character who makes the movie. And the last scene – watch the movie for the last scene alone. I haven’t seen Robert Duvall in The Judge and I heard he’s great, but J.K. Simmons is a slam dunk to win best Supporting Actor for me. Remember when I said some of the Best Picture nominees are heavy in nature? You’re sitting on pins and needles for 107 straight minutes here, and squirming in your chair for about half of that. In other words, the movie is intense. But I think that’s because the acting is so good and the struggle to become great in the music industry is brought to life. 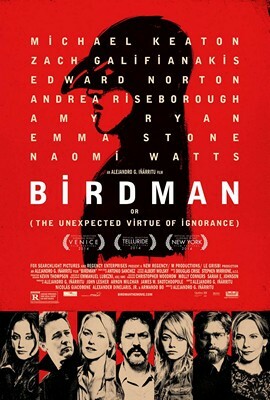 This film and Birdman are interchangeable for me as far as grades go. Simmons puts Whiplash over the top. The Imitation Game is definitely my favorite movie of 2014. I’d recommend it to anyone. The acting is great. The directing is great. The story is great. It has dramatic scenes, it has thrilling scenes, it has light comedy scenes. The movie is highly entertaining the entire time, and it’s nearly a 2-hour film. 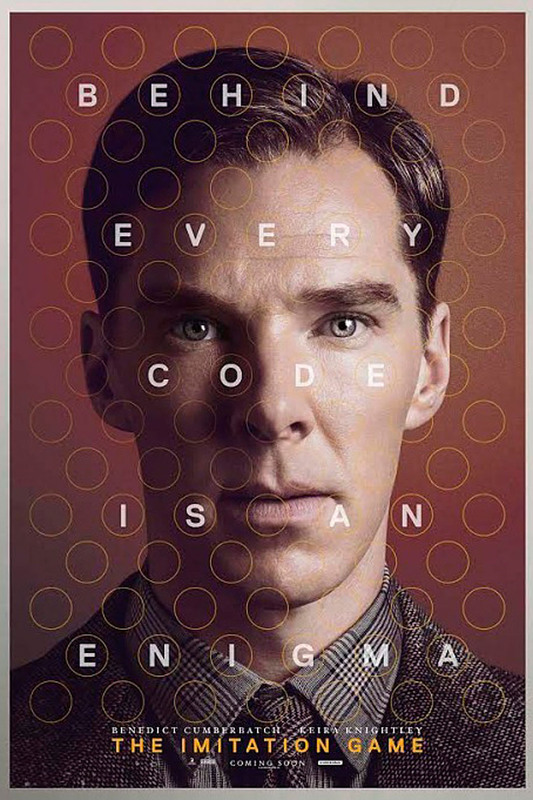 If I had to classify the movie I would probably say it’s a biopic about Alan Turing’s life; but it also features WWII, the issue of homosexual rights in Britain and more. Benedict Cumberbatch is excellent as a genius/social outcast who is battling himself internally as much as the Axis powers externally. Keira Knightly is lovable as a woman looking to breakthrough 1940s gender stereotypes. Even the antagonists hoping to stop Turing from building the first computer (they’re British too by the way) are great at being hatable. Needless to say, I like everything about this movie. Go see it. I got nothing. If you don’t like seeing the Nazis go down, I guess. This is the first Oscar nominated movie I saw this year, and it also happened to be my favorite by far. 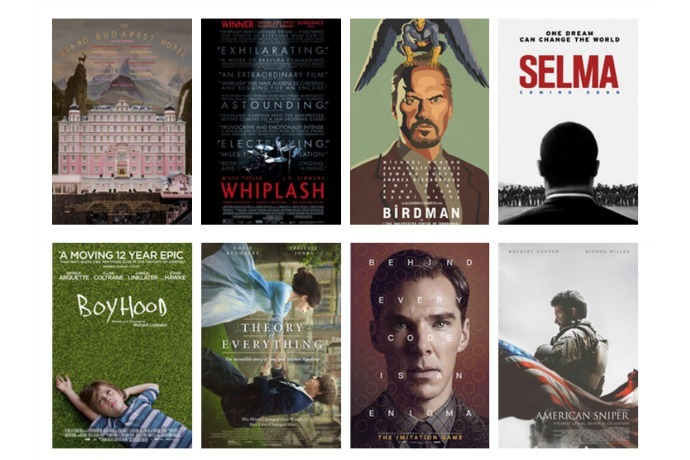 So Which of The 2015 Oscar Nominations WILL Win Best Picture? Needless to say, I am not a member of the Academy. So despite my unhealthy level of support for The Imitation Game as the best picture of 2014, I don’t think it will take home the Oscar. 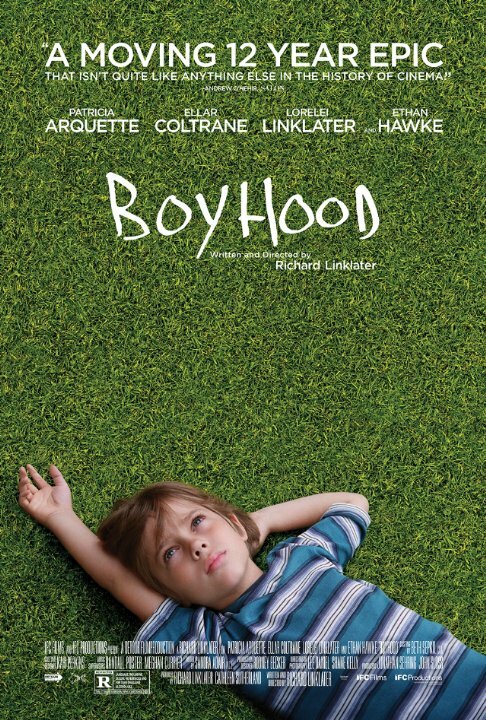 Although I have it ranked as my 5th favorite movie of the year, my pick for Best Picture is Boyhood. Like I said, the story grown on me and I think the Academy will have a special appreciation for a movie that took 12 years to make. Thanks for sticking with me. Don’t forget to tell me how wrong I am in the comments!